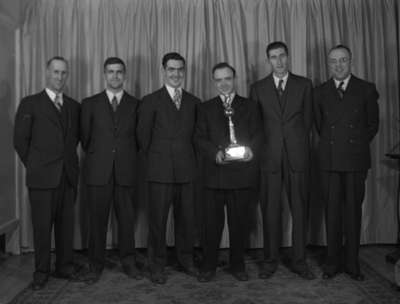 Six unidentified men - one is holding a trophy. Pickering Town League Bowling Champs (Image 1 of 2), April 7, 1948, Marjorie Ruddy. Whitby Archives A2013_040_1169.